I knew something was wrong as soon as my husband, sick with the flu, walked through the door. He stumbled into the bedroom, into his pajamas, and collapsed into bed. His breathing was rapid, his skin on fire with fever, his heart pounding so hard his chest jumped. Suddenly, our two dogs jumped on the bed and, in tandem, lay down on top of my husband. They watched his face intently, ears pricked forward, their eyes large and mirroring worry. ​ To continue reading the article, subscribe today. Moving into a new home is a stressful time for all family members. 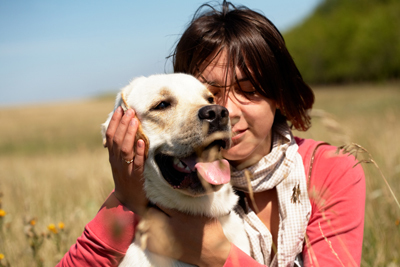 Much like a child, your dog depends on you to provide a sense of security and stability. Your dog will likely sense your anxiety and stress then respond by feeling anxious and stressed, too. To continue reading the article, subscribe today.